In 1951 Amasa and Edna Pierce donated the land that PierceCare sits upon to the American Baptist Churches of Connecticut for use as a facility for elderly Baptists. As an extension of this ministry, we believe that spiritual life is significant to overall well-being. 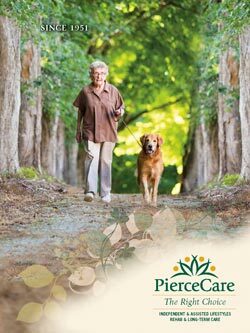 PierceCare Pierce Memorial Baptist Nursing & Rehabilitation Center has a long, rich tradition of excellence in health care services. Over the years, the not-for-profit organization now known as PierceCare has grown and expanded its services to provide the highest quality care for people of all faiths. 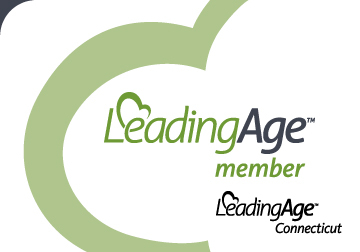 We continually challenge ourselves to be a forward-thinking organization in order to meet the needs of future generations of older adults in Northeast Connecticut. Since our founding in 1951, we have been blessed to serve many residents, some of whom have resided here for more than 20 years. PierceCare is governed by a Board of Trustees who are dedicated volunteers with strong loyalty to our American Baptist Mission. Certified for Medicare and Medicaid participation, we are licensed by the Connecticut Department of Health. We are members of the Connecticut Association of Health Care Facilities, The American Association of Homes for the Aging, Inc., and the American Baptist Homes and Hospital Association. PierceCare is a faith based not-for-profit organization that provides a compassionate continuum of care and services for any individual in a place they call home.